The best way to get to know a community is by scheduling a tour. 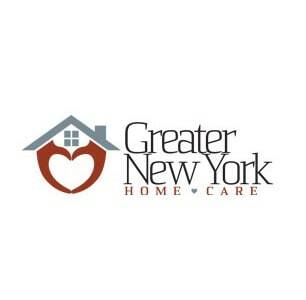 See the facilities, meet the staff and residents, and get a feel first hand what it's like to live at Greater New York Home Care Home Care. Since 1993, Greater New York Health care has been New York's standard-bearer for providing the absolute highest level of care in the comfort and familiar environment of our patients' own homes. Our commitment to New York's growing senior and physically challenged population runs deep within our corporate culture. This commitment is reflected in the sterling reputation Greater New York has earned in the city's healthcare sector over close to two decades of dedicated service to the community. Back in the year 1993, our company founders established Greater NY Home Care with a commitment to provide the area's growing senior and physically challenged population with the highest level of compassionate care and independence, in the comfort of their own home. Despite the overwhelming growth in our company size and in the scope of our services, this fundamental principal remains at the very heart of what Greater NY Home Care stands for. Indeed, over our close to two decades of service to the community, Greater New York Home Care has earned the highest regard of healthcare providers and social workers for the individualized, attentive and personal relationship we maintain with our clientele. We look forward to the continued growth in our range of services and our client base. We are a full-service agency. Caregivers are our employees.